Friends, I am sorry to share the obituary below and share my condolences with the Jessee family. Linda Halloway Jessee, was the wife of Roger Jessee. He is the son of Robert E. Lee Jessee, and grandson of Robert “Cat Eye” Jessee, a descendant of Rev. David Jessee, one of the 15 children of John and Frankey Lea Jessee. 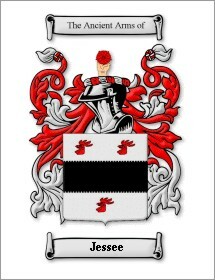 You can find the pedigree of Robert E. Lee Jessee at www.jessee.org. There were many named Robert E. Lee Jessee in our family since the Civil War, including 3 generations in my branch of the family. My great-grandfather was Col. John Tivis Jessee, one of 16 Jessees in the 29th Virginia, which served under Robert E. Lee. He had two brothers with him, Ephraim Jessee and Timothy Jessee, and lost Timothy from wounds suffered at the Battle of Cold Harbor. John Tivis Jessee surrendered with Lee at Appomattox, where he was also wounded. He returned to Russell County and married America Bickley, migrated to Philo, Illinois, and named his first son Robert E. Lee Jessee, who was Doc Jessee and my great-uncle. Their youngest son, Norval Clarence Jessee, moved to Chico, California in 1906, and had 8 sons, my Dad and uncles, all now passed away. That is how we have a Jessee enclave in Northern California. CASTLEWOOD, Va. Linda H. Jessee, 68, died Tuesday, May 10, 2016 at her home. She was born in Russell County, Virginia; daughter of the late Thomas C. and Nettie B. Salyer Halloway. She was preceded in death by three sisters, Oleane Patrick, Louise Hawkins, and Virginia Patrick; and five brothers, Tom Halloway, Jr., Frank Halloway, Robert Halloway, Jim Halloway, and Bill Halloway. She attended Rejoice Worship Center. She is survived by her husband, Roger L. Jessee; one daughter, Kim Osborne and husband, Henry of Castlewood, Virginia; one son, Roger "Lee" Jessee, II and wife, Christi of Castlewood, Virginia; two granddaughters, Abigail and Caylee; one sister, Thelma Long and husband, Earnest of Castlewood, Virginia; two brothers, Raymond "Bud" Hallowayand wife, Tess of Castlewood, Virginia, and Donald "Joe" Halloway and wife, Georgia Ann of Leonard Town, Maryland, and several nieces and nephews. Funeral services for Linda H. Jessee will be conducted at 8 p.m. Thursday, May 12, 2016, at Rejoice Worship Center, Castlewood, Virginia with the Rev. John Matney and the Rev. Ken Johnson officiating. Committal Services and Interment will be conducted at 2 p.m. Friday, May 13, 2016, at Temple Hill Memorial Park, Castlewood, Virginia with U.M.W.A. rites. Family and friends will meet at Rejoice Worship Center and go in procession to the cemetery leaving at 1:30 p.m. Friday. Pallbearers will be Henry Osborne, Neil Johnson, Larry Evans, Daniel Johnson, Ashby Gilmer, and Ryan Smith.The family will receive friends from 6 until 8 p.m. Thursday, May 12, 2016, at Rejoice Worship Center, Castlewood, Virginia. Online condolences may be sent to the Jessee family through our website and a video tribute may be viewed at www.castlewoodfuneralhome.com. Castlewood Funeral Home is in charge of the arrangements. Submitted by Jack Hockett (Tlas101@aol.com), May 12, 2016.